We need to purchase a new heart lung machine so that we can continue to perform as many surgeries as possible each year. During open-heart surgery, we need to stop the heart from beating so that we can fix it in some way, so we put patients on to bypass using a heart lung machine. 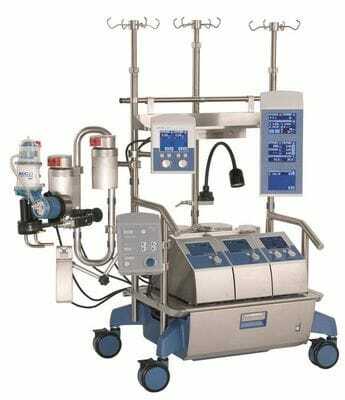 This amazing machine acts as the patient's heart and lungs during the surgery, so instead of blood going into the heart after it makes its way around the body, it goes into the heart lung machine, where it is filtered, heated or cooled, oxygenated and pumped back into the body where the heart would normally pump it to. If you're a visual person you might like to watch our short video on how the heart lung machine works. It is a very special device and vital to what we do, so we were delighted to be able to purchase a new machine in early 2014. Now we need your help to purchase a second one, to ensure we have the best possible equipment on hand for any surgeries (knowing that sometimes we might need two machines at once). These machines come with a big price tag of $500,000 so we need all the help we can get. For more ideas, head to How You Can Help or get in contact with us.